A number of PR agencies have rebranded in the past year, some to better represent their offerings and identities, and others to streamline and unify their businesses. On Monday, Peppercomm added another “m” to its name to show it offers services beyond traditional PR, such as marketing and digital. A week earlier, Euro RSCG Worldwide PR rebranded as Havas PR to reflect greater collaboration among Havas agencies and a simpler structure. Other agencies such as Horn and Citizen Paine have also changed their brand names in the past year. Similarly, Horn Group rebranded as Horn in May to show its evolution from a pure PR agency to a digital communications firm. Horn handles digital for 75% of its clients. Agency founder and CEO Sabrina Horn notes that the term “PR” isn't a negative, but it should be reflected as part of a range of marketing disciplines. Horn says the refresh was part of a strategy to make the brand more “modern” and a little “edgier” since its last rebrand a decade ago. Since debuting the new name, website, and logo, Horn says she has received “nothing but compliments” from clients. She adds that the firm sent them a letter and gave them a sneak peak at the website before making it public. 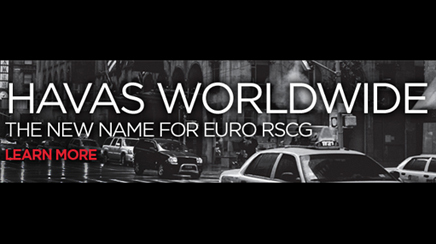 Havas PR, formerly Euro RSCG Worldwide PR, was renamed as part of a global rebranding effort at holding company Havas. “This was a great chance for us to be more streamlined and unified in our branding and it's definitely strengthened our brand on the global level in terms of PR,” says Dalton Dorné, CMO of Havas PR. She explains that Euro used to be known as a “federation of great local agencies,” when in fact they are connected and have common values. She says the rebrand has highlighted that. Havas, unlike some other rebrands, decided to keep “PR” in the name. Top three agency Fleishman-Hillard is planning a “brand refresh” early next year, says Stephanie Marchesi, CMO at the agency. The Omnicom Group firm will not change its name, but it will debut a logo and website that will “result in a clearer position for the firm,” she explains. “We will reveal our complete set of capabilities that we have been investing in and have been developing over the past several years,” Marchesi adds. Other major agencies have altered their branding in the past year. Hill & Knowlton changed its name to Hill+Knowlton Strategies at the beginning of last December, less than a year after it merged with sister WPP firm Public Strategies. Weber Shandwick revealed a new logo, tagline, and business model in May to show off its transformation in the past decade. When Citizen Relations rebranded last October from PainePR, it combined its offices, formalized existing partnerships, and added a unified brand name to connect its businesses with fellow “Citizen” firms Citizen Optimum in Canada and Citizen Brando in the UK. CEO Daryl McCullough says his agency's changes are more noteworthy than just altering a firm's name to reflect new services. “There is the superficial rebranding, and there are those of us that are doing significant reorganization and globalization,” he explains. John Ball, partner and creative director at brand agency Miresball, says firms must rebrand for the right reasons. Otherwise, the move could seem hollow or unnecessary. “A lot of firms are embracing new capabilities and social media, and they may feel they need a name change to reflect that. But if everybody else is doing it, too, I'm not sure you have to change your name just to add on capabilities, because that whole role is changing for everybody,” he explained. McCullough adds that one major challenge of a rebrand is the fear of losing equity in the brand name. “That's hard for anyone to leave behind. However, as with any brand, it's the effort that you put behind it to make it famous and stand out in the marketplace,” he says. Josh Feldmeth, CEO of brand consultancy Interbrand, notes that changing an agency name is complicated because of founder legacy issues, which is why it's important to be clear with messaging internally and externally. Therefore, firms have to send the right signals to staffers, clients, and stakeholders about why the rebranding is credible and relevant.